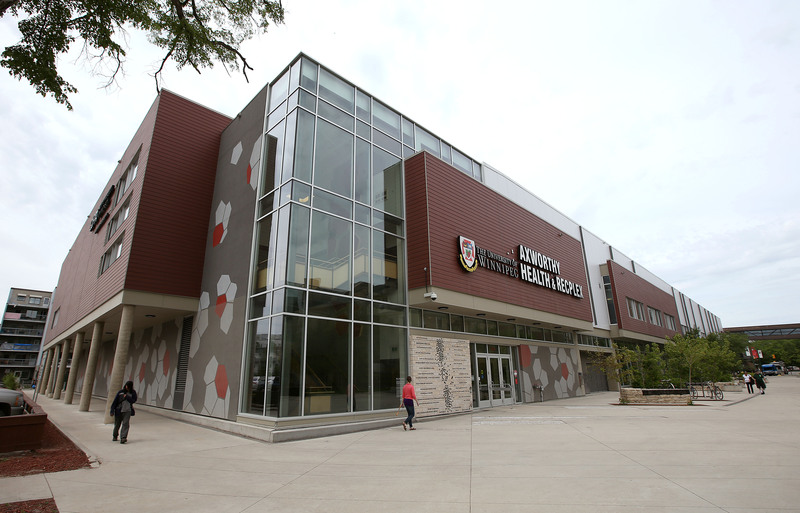 Contempora Steel Builders was brought on by PCL Construction as the pre-engineered steel building supplier/ erector for the new University of Manitoba Sports Complex. 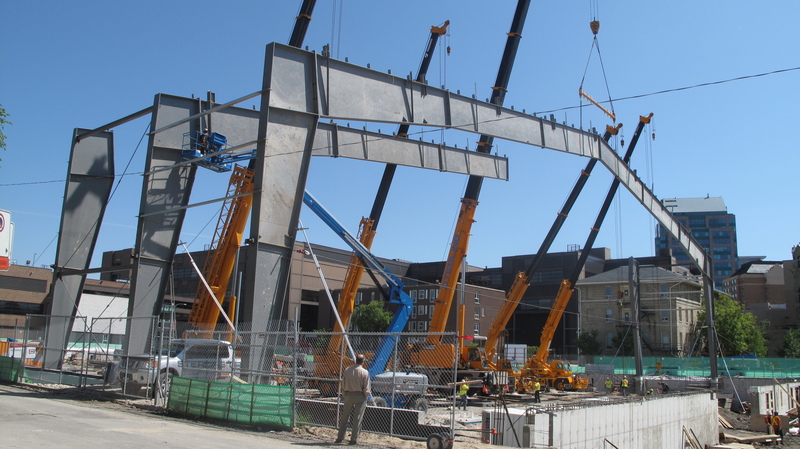 The 189,000 sq.ft building was constructed in downtown Winnipeg, so tight property lines and street closures made for a strategic erection process. 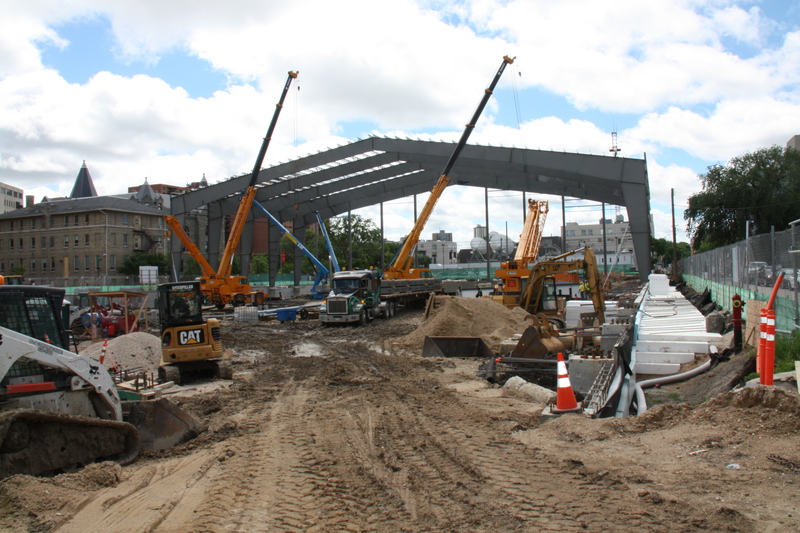 In addition, the building design specified the use of 200’ clear span framing which required the use of 5 cranes to erect the structure. 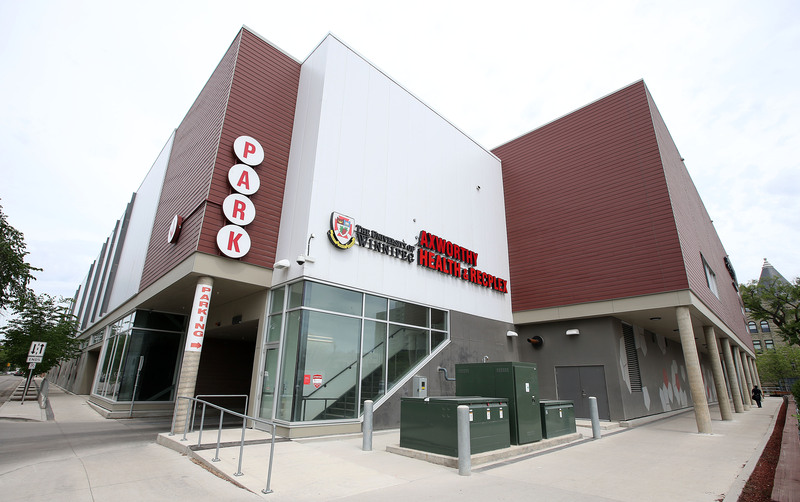 The complex includes a large multi-use artificial turf field, four-lane rubberized spirit tract, community gym, jump pit, batting cages, climbing wall, research centre, student lounge, food kiosks and underground parkade for 194 vehicles. The building was designed by Number 10 Architectural Group. This was a very interesting and complex project, full of challenges and rewards. We are proud to be part of the construction process for such a grand structure within our urban core! 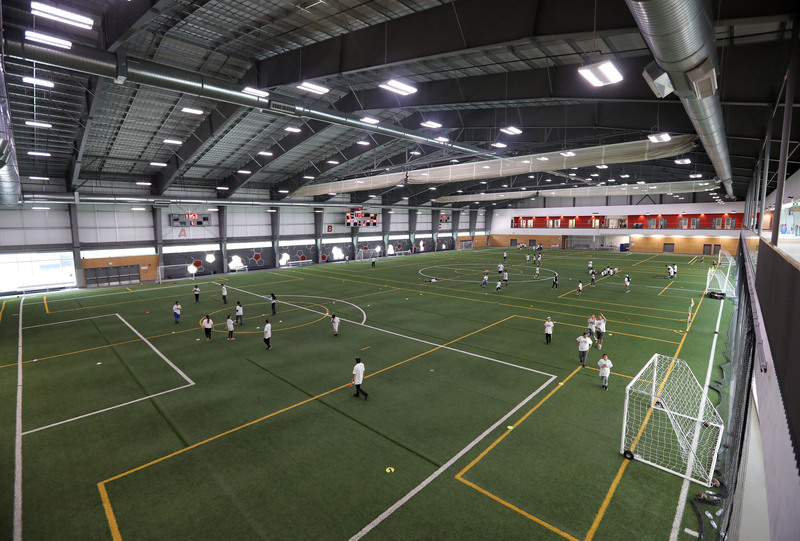 According to the U of W President Lloyd Axworthy, “this is world class facility that gives youth a safe place to play and thrive”. © Copyright 2010 – Contempora Steel Builders • All Rights Reserved.